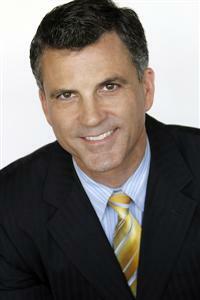 Welcome back to Real Estate Radio Los Angeles, I'm your host Todd Jones. You can find us every Sunday at noon on the Patriot AM 1150, or at toddjonesradio.com. We were just talking about locations and how you can rent your house out to make a little extra money, and we're going to be talking next with location scout Russ Thomas. He scouts for those hard to find pieces of real estate to fulfill the director's vision. Russ moved here from the land down under to attend UCLA, he works mainly on TV commercials, and has helped find that perfect location for commercials like USAA, Nike, AppleBee's, AT&T, and many more. He's also scouted for movies and even worked on some really cool music videos for NSYNC, Macy Gray, Usher, Fatboy Slim, and Bonnie Raitt. Russ Thomas, welcome to the show. Thank you Todd, good to be here. Excellent. Hey Russ, first thing I want you tell my listeners is what exactly does a location scout do? Well, we have to find a house or a football stadium or whatever the needs are of the commercial, the movie, the TV show, that best fits the desires of the creative, whatever the spec is, the script, or the story boards or the director's vision. We're trying to help meet that. Now, it's not always the director that needs to be happy when you're dealing with commercials, who else needs to be happy? Well, you've got an advertising agency, you've got the client, and ultimately the client is the one who is going to say yay or nay to this works for me. Absolutely, all right. So how did you get into the business? It's like watching paint dry, right? Yeah, so I had always liked to shoot photos and I had my camera, and so whenever there was an opportunity to go and take some photos and if they needed that done I would say, " Yeah, I'll go. I'll go [chuckles]." So I was always available to do that and then got rolling with some other people that helped me out early on and just go into the groove of finding things for-- it's all about relationships. So if somebody likes what you did on that last job, they'll call you for the next one, and that's how it kind of [crosstalk]. It's a referral based business, right? A lot like real estate, right? A lot of people refer-- they like good work, and I've seen your work so I know that it's good. I want to know, what is the most challenging location you've had to find or one of the most challenging locations? Let's see, rooftop helicopter pads, I mean just odd ball things that you can't get into every time that are very easily; military type of locations that if you're not doing a military film that's endorsed by the DOD, if it's a commercial, you have to find things that look exactly like that and will double for that. I can see that, and that might be challenge. You just don't go down to Camp Pendleton and say, "Hey, can we shoot a commercial here?" Yeah, that's right. "We're here [laughter]. Here we are." You would not be greeted very well. So I have mentioned it a few times about getting a few hundred bucks and getting a free lunch. So what is it that I'm talking about, about getting that free lunch? I think you're referring to the chance to rent out your front yard, backyard, driveway for catering when there's a film crew in the neighborhood. Oftentimes we'd need a place to feed 60 people, and so you find a parking lot sometimes or it could the house next door to the film location. Now you just said 60 people. That might take a few people by surprise. So 60 people to make a television commercial, is that right? Yeah. On the last job I just did for USAA, we were at 80 people every day. Because there's a lot of people - the actors, the crew, the client, the agency. It definitely adds up. So, if you are driving through your neighborhood and you see some trucks around, you can always tell the difference between a commercial and a movie, because a movie almost always has the movie studio brand on some of the trucks, or you'll really know because there's a lot more of them. Commercials have a lot of trucks, but nothing like a movie. A movie will have, I don't know, like 10, it's crazy. So, if you see those around and you're next to the location, you might want to ask to talk to the location manager. That's different than what Russ does, he's a location scout - he scouts locations. But the location manager, you make friends with them and if you have a nice big yard, you might be able to make a few hundred bucks. Right, and even before those trucks arrive. A location manager's job is to find a place before a shoot day, so he might be knocking on your door and you're wondering who this guy is or who this person is - and hopefully he's put on a good happy face [chuckles] and you'll let him in - and he's just trying to find a place to eat [laughter]. That's funny. And they usually will feed you, and let me tell you, the catering trucks they have on movie sets are amazing. Yeah, very good food. I like this, because it does tie into real estate and we hear in the news a lot that there is not as much filming in Los Angeles and it's going to other states, and there's a whole bunch of reasons for that. And I just wanted to get your take on that. What is it doing for the economy in general by allowing people to easily film in LA? Because it's not just that shoot, that one location. When someone's filming you've got obviously all the crew's making money, the person renting the house is making money, but then you have people that need to buy things to make that shoot happen. Yeah, there's a real ripple effect to the whole industry, so it's a good thing to-- if we can keep it local as much as possible, that's great. Right. Russ and I happen to live in the same neighborhood in Studio City, and we live around the Tujunga Village area. If you don't know it, it's this great little area with a bunch of shops and restaurants - some very good food. A very, very well-known restaurant called Vitello's. There's also one, the Aroma Cafe, where people are also going all the time. If you need stained glass done - it's really hard to find places - there's a wonderful stain glass shop there. It's a great little area. What's funny is I see celebrities a lot now in LA. My wife just saw Jane Lynch. I see Eddie Murphy at a Coffee Bean all the time. In LA we do that thing where we don't say anything, don't make a big deal about it, because they're just trying to live their lives. It occurred to me, it's funny how we pass by celebrities and sometimes I always think, "Gosh, I could be driving by people right now and not even know they're a celebrity." The same things happens with real estate. There are celebrity houses. There is this one house in my neighborhood that I must've driven and walk my dog by a thousand times before I realized what it was. Russ, I bet you can guess what I'm talking about. I think you're referring to the Brady Bunch house.